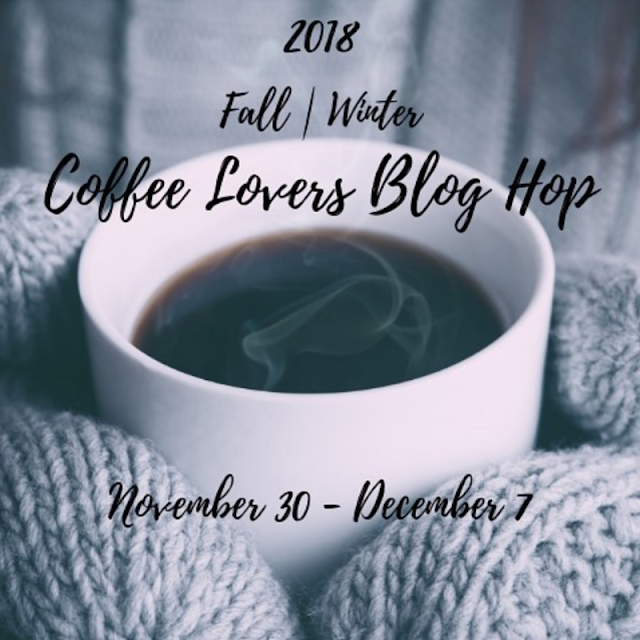 As I type up this post there are an amazing 831 projects linked up for the Fall | Winter Coffee Lovers Blog Hop. Last night was night one of two of FLASH Prizes. 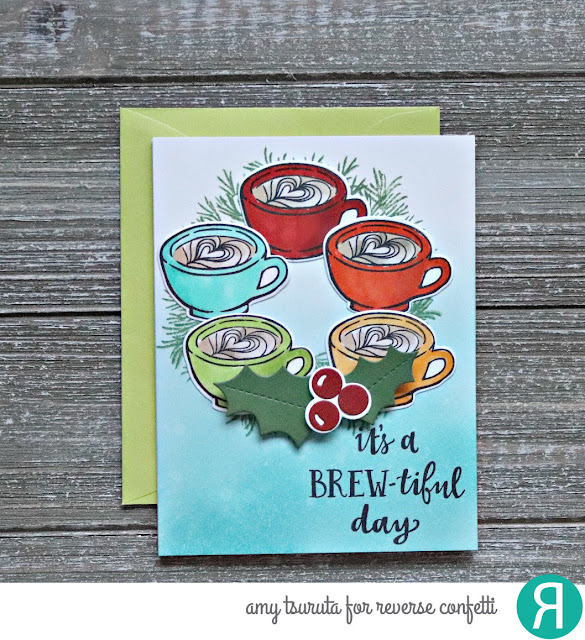 If you're not a member of the Coffee Loving Papercrafters FB group, join HERE. The winners are posted there first and then added to the wrap up post on Sunday, December 9th. The next and final FLASH Prize evening is Friday, December 7th. To be eligible, link up before 3 pm pacific on the 7th. I'm featuring products by Super Sponsor Reverse Confetti! They have Three $20 Gift Cards up for grabs for this hop! I started off my bristol panel with some distress oxide in Peacock Feathers. The foliage is from the Reverse Confetti Christmas Candles set. 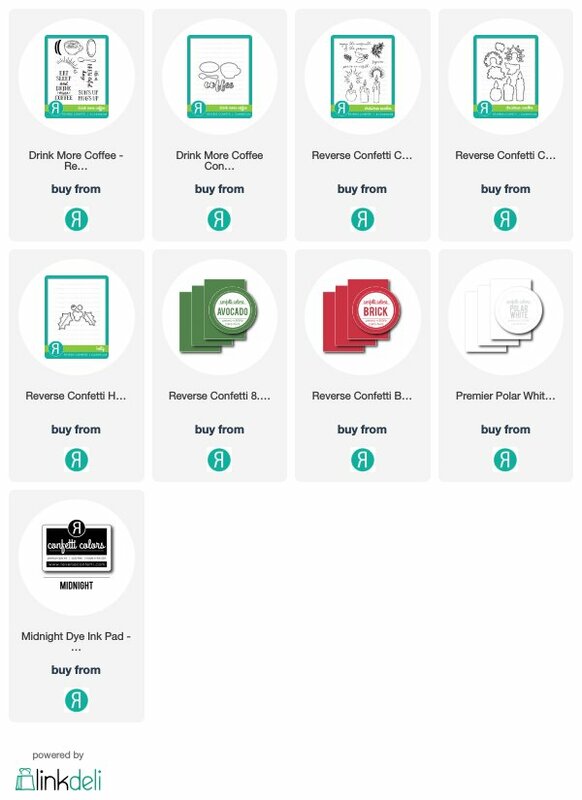 If you didn't know, Jen of Reverse Confetti is a coffee lover and has several sets in her shop. I used her most recent release, Drink More Coffee. I colored them rainbow style and arranged them on the wreath. The sentiment is from the same set. The Holly confetti cuts has been cut from Avocado, Brick and Premier Polar White cardstock. I hope you all have a BREW-tiful Day! Such a fun rainbow wreath! 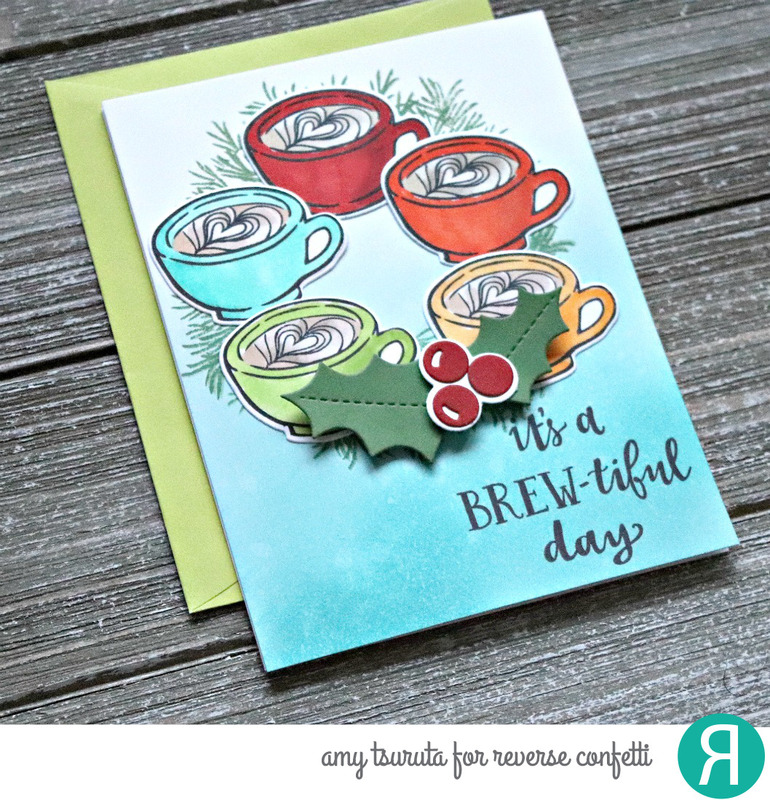 Loving the different colored of cups and the holly nice layout Amy! Pretty wreath of cups. Great colors. Great layout and dies. Love it. I love your wreath. Great design for the Winter hop. Just darling Amy. I love this wreath and those coffee cups with the hearts inside are amazing! A lovely card. Thank you for the inspiration and all you do for the hop! This is sooooooooooooo fun! I love that coffee wreath!!!!!! I love wreaths! And made with coffee is always a great idea! Love this coffee wreath card! I would take that wreath! This is so fabulous, Amy! Love those colorful cups! What a great wreath with all these cups. Love the idea of making a wreath out of the cups. Wonderful coffee wreath card, so very modern! love that wreath from mugs! so cute!